Who would be your best buddy at Hogwarts? What's your house elf's name? Which spell do you use to defeat a bully? What's your favorite subject at Hogwarts? Would you ever consider being a prefect? You're just too school for Hogwarts school, aren't you? You really like to make a scene in the halls of Hogwarts. You're the boy who lived! You're the seeker on the quidditch team with a catchphrase to match. Everyone's got a catchphrase. Even the characters in Harry Potter! What would YOU say if you were a student at Hogwarts? 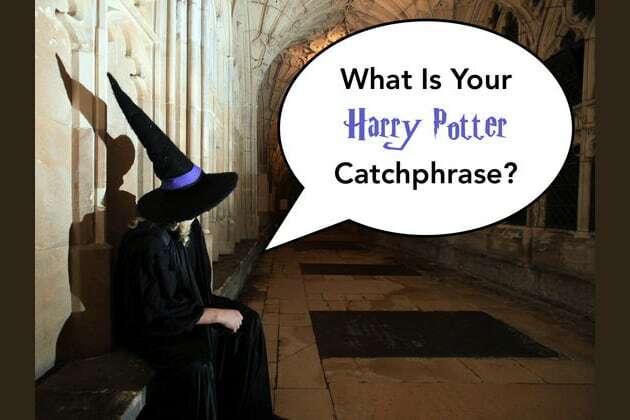 Take this Harry Potter catchphrase quiz to find out!